Oxford County is known to be the Dairy Capital of Canada so it's almost fitting to have one of the biggest Cows in the World. 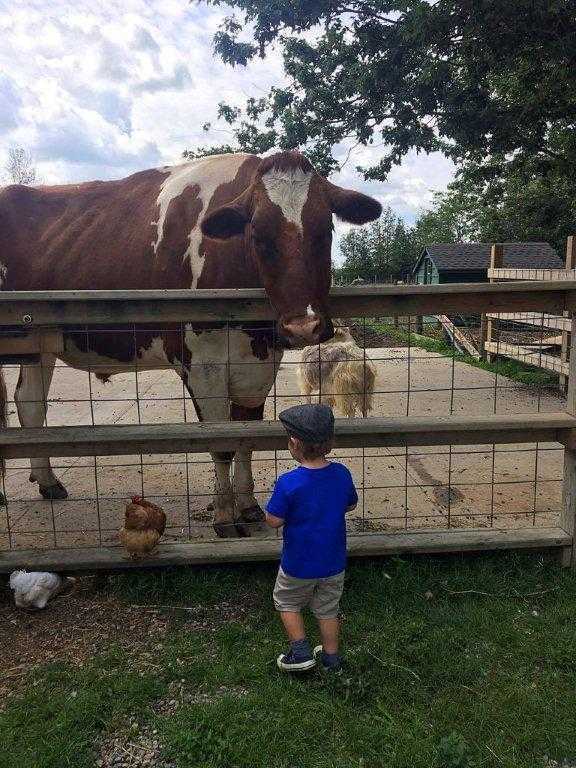 ZORRA TOWNSHIP - You may have heard about the giant cows in Australia and Alberta, but they have got nothing on Charlie, a Giant Steer, right here in Oxford County. 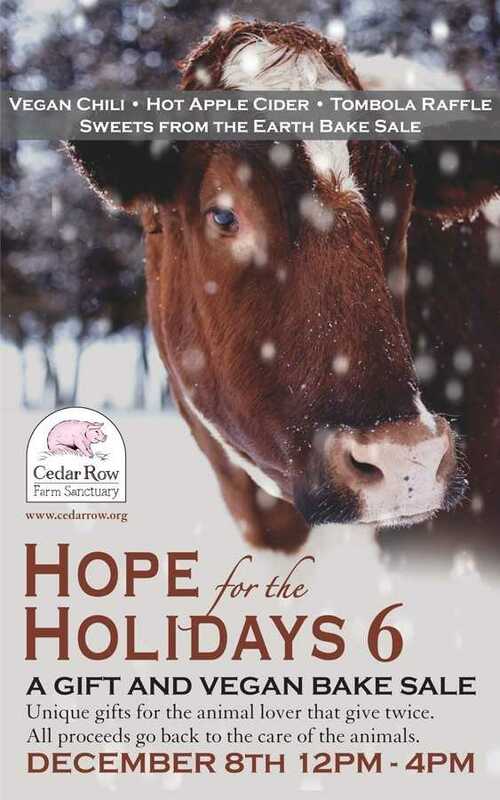 Charlie has spent most of his life at the Cedar Row Farm Sanctuary in Zorra Township. Co-Founder of the Sanctuary Siobhan Poole says Charlie came into her life 8 years ago. "I was on my way to Costco about 8 years ago when I saw what I thought was a big dog running down a side road. It turned out to be a calf and I stopped and he looked at me, there were no farms in the area, then he started running down the road again, so I had to tackle him into the deep snow to get him to stop running, another girl came along and with her help I was able to get him into the back of my van and we brought him home. It was touch and go for the first week, he suffered from pneumonia, but we pulled him through and he will be 8 in February 2019." 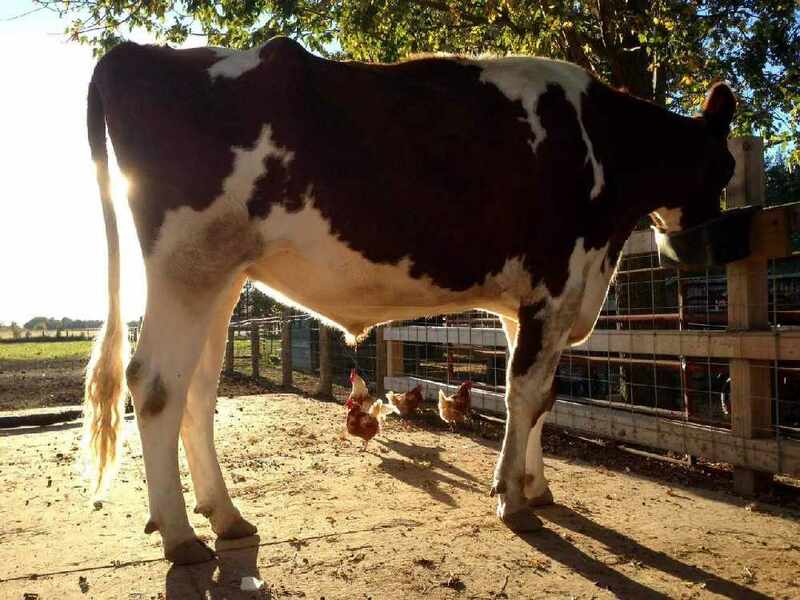 Charlie stands at 6 foot 7 inches tall at the withers and is actually bigger than the giant steer in Australia who stands at 6 foot 4 inches at the withers, however the steer in Australia has more mass and has a larger width. 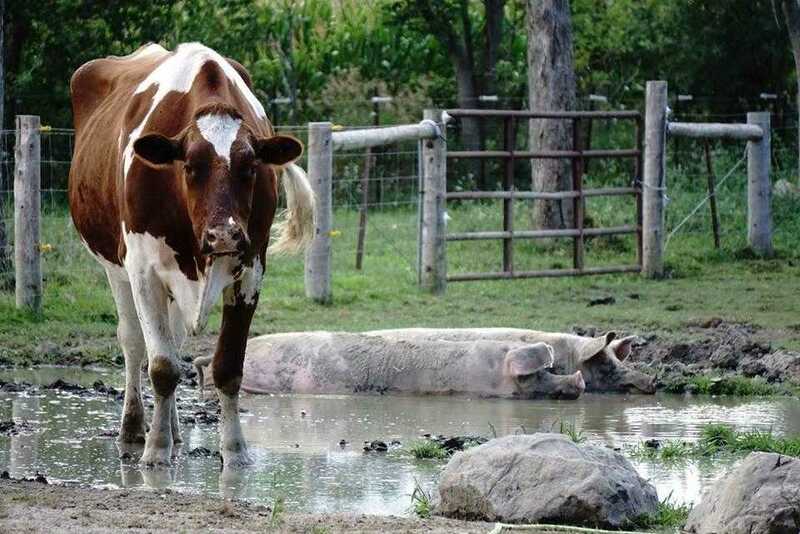 Poole says Charlie will spend the rest of his life at the sanctuary with his best friend Tim, who is their other steer and their other animals. "We also have rescued pigs, pot bellied pigs, sheep, goats and a crazy goose named Gabe and Gabe's little friend Geranimo." The sanctuary is having a Gift and Vegan bake sale open house this Saturday from noon to 4:00 p.m where you can meet Charlie and the other animals. All of the proceeds from the event will go back into helping them care for their animals. You can visit with Charlie at 157017 Zorra Line 15, Lakeside, ON N0M 2G0 this Saturday from noon to 4:00 pm.